The term phobia is a fear of a feeling, object, place, or a creature. Everyone is scared of something whether it be spiders, heights or event the dark. We all get that weird feeling inside our stomachs or the goosebumps just thinking about it. A phobia is normally triggered by something you fear and makes you feel uneasy. With fear you can sometimes control your feelings and emotions, however, phobias can be harder to manage since they trigger something inside which makes you feel nervous, anxious, terrified, or sick to your stomach. David is a senior here at San Bernardino High School. He has Acrophobia. 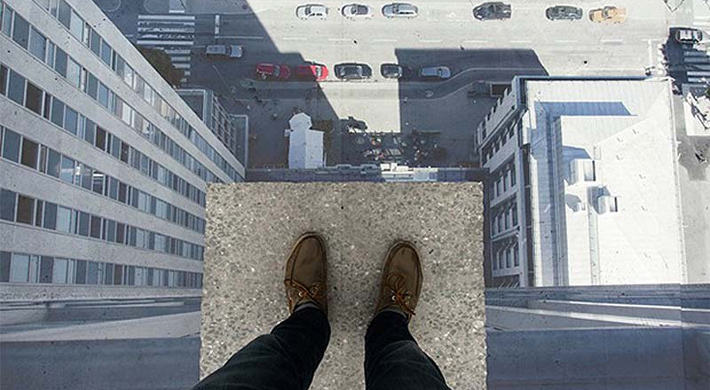 Acrophobia is a fear of heights and affects 1 of 20 individuals. It can make you feel very uncomfortable. David said, “I always feel like I am going to fall off depending where I am.” He said if he’s high up in a building and decides to look down he feels like he’s going to fall out. David feels the reason for this phobia is probably because of a past experience. When he was younger he fell out of his cousin’s second-story porch. It was a scary moment in his life so every time he’s up high somewhere it triggers something in him that takes him back to that moment in time. David explained how he gets shaken up and feels weak to his knees. In the end, it doesn’t really affect his day to day life because it’s not every day that he’s in that situation. Edith, also a senior, has Cynophobia. Cynophobia is a fear of dogs. She explains how they are just really scary to her. One day Edith and her older brother were out in her front yard when suddenly her front neighbor opened her fence and her dog got out. The dog started running towards Edith and her brother. To Edith’s bad luck, her brother ran into the house and closed the door leaving Edith outside. She said she banged and banged on the door hoping he would open it. Finally, she pushed hard enough, busting it open. Edith was traumatized by this event. She says having cynophobia actually affects her day to day life because she sometimes walks home from school and there are a lot of loose dogs out in the streets. No matter if it’s a dog, heights, or clowns we all have something that scares us or makes us feel uncomfortable. The only question here is…What are you afraid of?